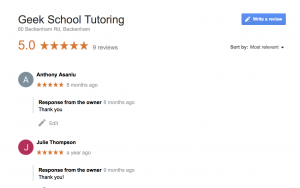 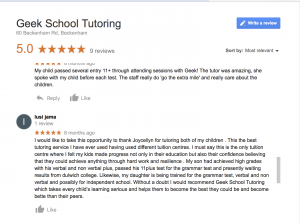 Getting good feedback from our students and clients means everything. 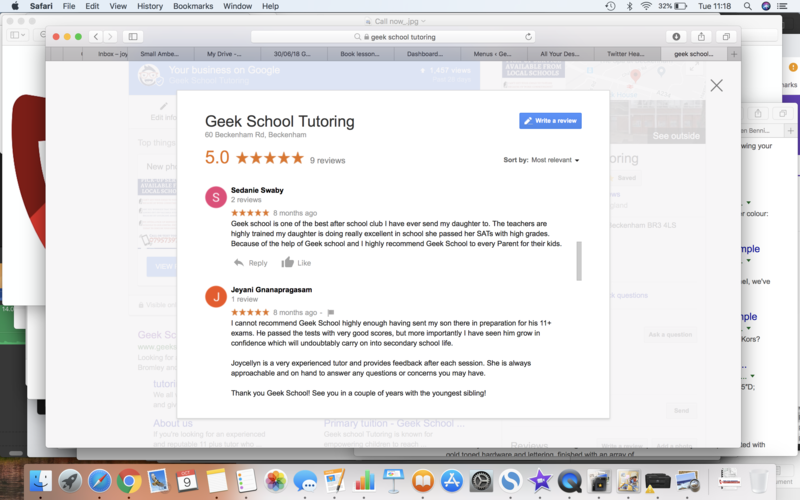 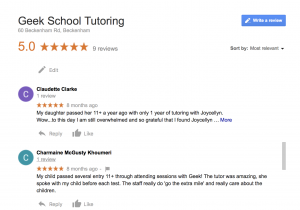 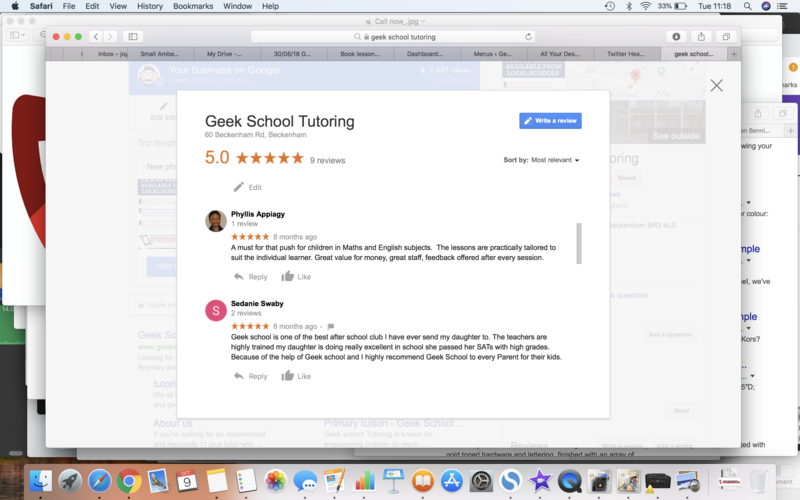 We aren’t short of praise at Geek School, and with most of our referrals coming from relatives and friends of our clients, something is obviously working! 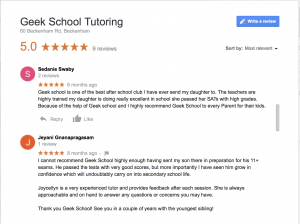 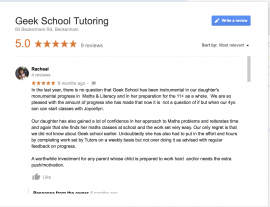 This is what some of our past students and parents had to say about working with Geek School.